Storz Equimat 203020 20 Insufflator Fluid Deficit Monitoring System Cart & Scale . New Life Scientific, Inc. 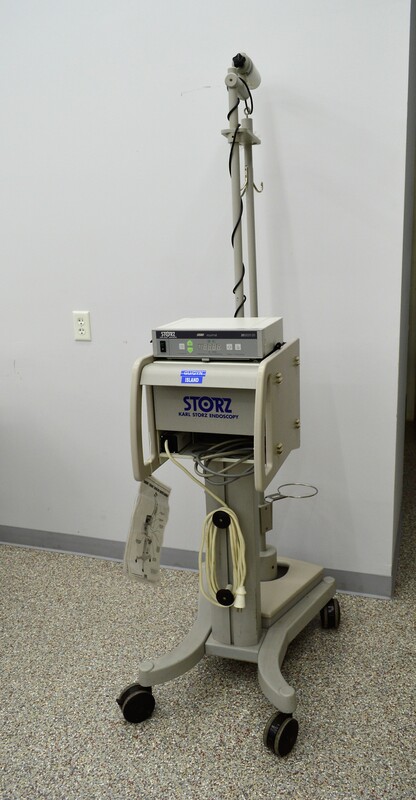 This Storz system is in great cosmetic condition and was tested by New Life Scientific technicians for basic functionality. The technicians confirmed that the scale mounted on the top of the cart is working and has been tested with vessels of water. NLS attached the arm to the balance, tared the reading, and added the 500g calibration weight; the reading accurately confirmed that there was 500 grams added to the system. Please review the images for additional details. *The Endoskope was sold separately in a previous sale and removed from this system; the Equimat will be sold with the cart in this system listing.